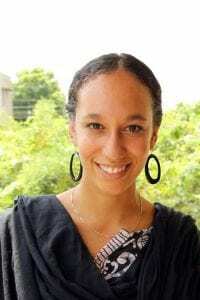 Priyam Global Initiative, a nonprofit started in 2014 by IU School of Public Health-Bloomington alum Michaela Cisney, has been awarded an Honorable Mention on GlobalGiving’s annual Top 10 list. The mission of Priyam Global Initiative is to alleviate poverty for children with disabilities by investing in their mother. The nonprofit currently works in India, which is home to 12 million children who are affected by disability. Disabilities can be heavily stigmatized in many Indian communities, creating a situation where the child is isolated and the mother is often the sole caretaker, with little or no support from others. Priyam Global helps mothers develop income-generating and financial stewardship skills, assists with psychological and physical health, promotes inclusion, and assists with advocacy. Each year GlobalGiving selects 10 winners and 5 honorable mentions from the hundreds of organizations eligible for the award. The award is based on the organization’s success in listening to their stakeholders, acting on what they hear by testing out new ideas, and learning from the results of experiments to improve their services. “Our ultimate aim is to drive more resources to the nonprofits that learn and improve the most. We’re proud to highlight Priyam Global for their commitment to effectiveness through listening, learning, and improving,” said Alison Carlman, Director of Impact and Communications at GlobalGiving.